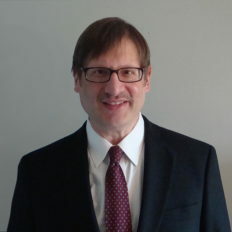 Bryon Lynn has over 30 years of experience including senior roles in Product Management, Product Planning, Market Management, Portfolio Planning, Program Management, and Engineering. He has the unique ability to integrate his business, managerial, and technical skills to yield outstanding successes. Highlights of Bryon’s career include launching a new product with nearly $100M in first year sales, turning around a failing product line and making it the most profitable in company history, and creating a new product achieving over $1B in annual revenue. Prior to joining Advantage Optics Bryon worked for Fortune 500 companies Tellabs, Rockwell International, and AT&T. Bryon’s received a Bachelor’s degree in Electrical Engineering at Purdue University and a Master’s degree in Business Administration from Northwestern University’s J.L. Kellogg Graduate School of Management.